You will be the envy of all your friends and family as the new owner of this magnificent manor and lifestyle property on Marshmeadow Road. With tree-lined driveway and open manicured lawn, you will fall in love with this estate as soon as you enter the front gate. The clinker brick home boasts a 320m2 footprint which offers formal and informal living areas, 6 bedrooms of varying sizes, and en-suite to the master. With fresh paint and brand-new carpet throughout this home is a blank canvas and will easily accommodate your own personal style and touches. A double internal access garage and huge rumpus room form the west wing of the residence. An inground swimming pool leads out from the open concept living space and is the perfect place to cool off in the summer heat. 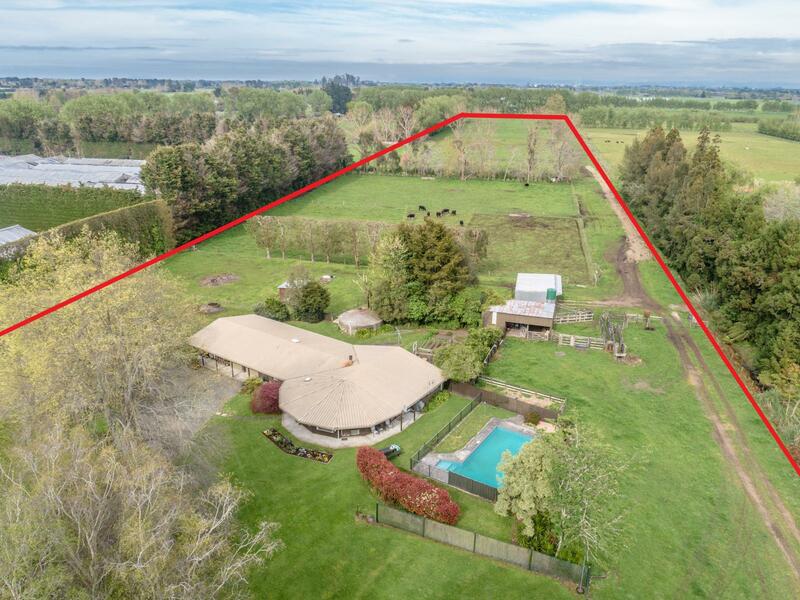 Set on just over 15 acres(6.44H) and split into 10 paddocks with a side raceway to assist in stock and vehicle movement; the farming aspect of this property are further supported with stockyards and 3 bay implement shed. 347 Marshmeadow is an affluent lifestyle location on the outskirts of Hamilton. This has been a wonderful family home for our retiring vendors but after two decades in residence they now welcome a new family to make their own special memories here. Property Brokers is proud to present this home to market and we welcome your inspection for a personalised introduction to the many extras this tranquil property offers. CHATTELS Stove | Fixed floor coverings | Blinds | Curtains | Light fittings | Drapes | Dishwasher | Auto garage door remotes x 3 | Clothesline | Electric stove and hob | Extractor fax | net curtains | Pool equipment | Rangehood | TV aerial | smoke detectors | Washing machine taps.